Projects and people differ, and so should project management apps. Compared to the biggest project management apps available, these three are lesser known but well worth trying. 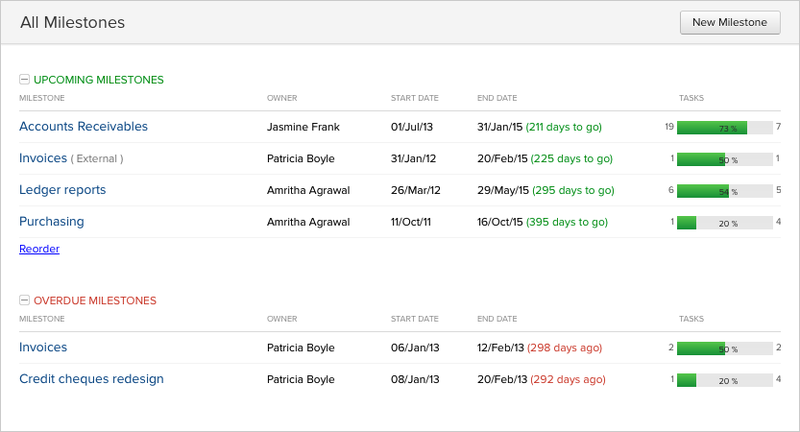 Zoho Projects helps you stay organized by tracking your deadlines. Zoho is one of the pioneers in the world of web-based office suites, offering a collection of cloud-hosted applications for business and personal users. Its titles are worth checking out, even though they haven’t gained the market share or name recognition of bigger competitors like Google Docs. Zoho Projects, a Web-based and mobile (Android and iOS) tool, helps you manage projects by creating tasks and task lists, viewing items on a calendar, assigning them to others, and more. I like how you can quickly upload files as attachments, and the activity feed, which lets you comment and see other user’s comments, much like you do on social networks like Facebook. I do wish Zoho Projects were a little easier to use at the beginning. You have to devote some time to learning its features if you want to get the most out of it. That burden isn’t helped by its somewhat confusing labels: It’s not immediately apparent what you should classify as a task, a task list, or a milestone. 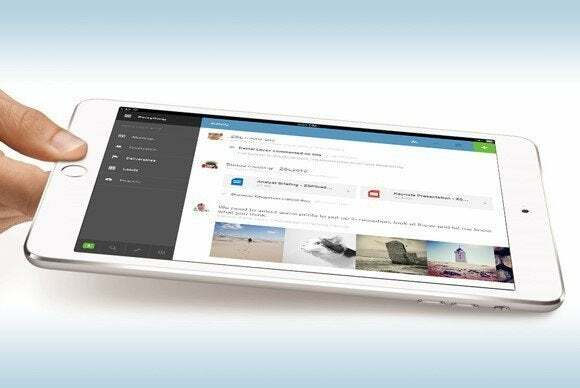 But Zoho Projects is neatly laid out, and its mobile apps work well with the Web-based version. Zoho Projects is free for an unlimited number of users managing one project. Paid versions start at $20 per month for managing 20 projects. An especially nice touch: Zoho’s pricing includes customizable options that let you pay for the add-ons you need, such as extra project pages. It makes it easier to get the most out of these useful project management tool without breaking the bank. 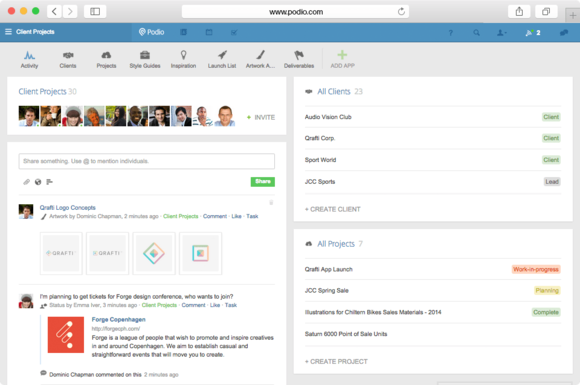 Podio’s Activity Stream offers a high-level overview of your project and what your co-workers have been up to. When it comes to customization, few apps can compete with Podio. Available as an online service and a mobile (Android and iOS) app, Podio offers project management and collaboration tools that can be completely customized to meet your needs. That makes Podio incredibly useful, but it also requires a bigger time investment if you want to get the most out of it. Luckily, Podio offers plenty of guidance. After you sign up, Podio asks you a few brief questions about your work and provides a high-level overview of Podio’s features before you get started. Users logging in can view an activity stream for all their projects. Here you can share and view status updates, files, and questions with fellow workers. 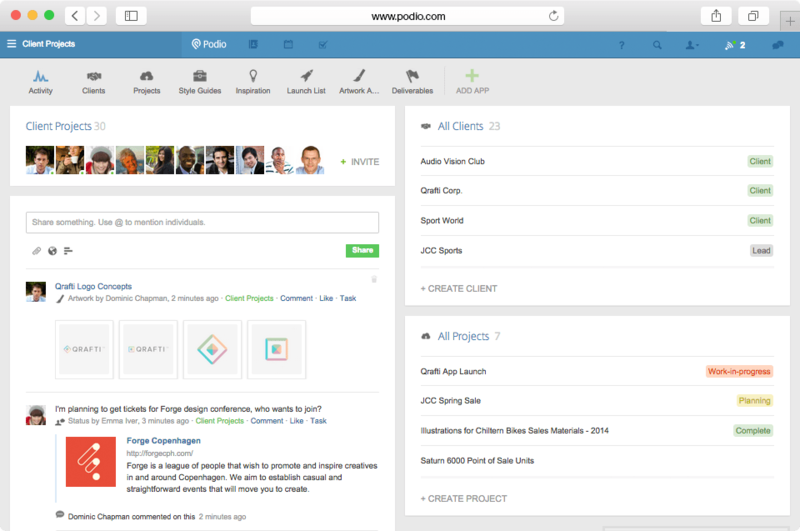 From there, Podio lets you organize by creating Workspaces, which can be used in a variety of ways. They can also integrate with Podio’s Apps—the pre-built ones Podio offers are almost like templates for managing your business needs. You can also create your own. Doing so comes with a bit of a learning curve, but the time you invest will result in a truly individual tool for managing your project or task. Podio’s mobile apps share the same slick design as the Web version, making them easy to use, though the setup work is still better done on a desktop, or at least a device with a bigger screen. Podio is free for up to five team members, while the Premium account, which allows for unlimited team members, is priced at $9 per user per month. LiquidPlanner packs plenty of information onto each screen, which can be overwhelming if you don’t know where to start. 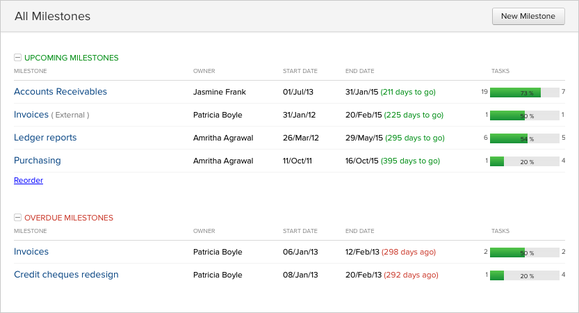 LiquidPlanner is as much a time management tool as it a project manager. And that makes a lot of sense, as you can’t get your work done without managing your time. LiquidPlanner can be a bit overwhelming at first, thanks in large part to its all-business, text-heavy interface. It uses a structure somewhat similar to email tools like Outlook, with columns that let you drill down into each item for more information. LiquidPlanner lets you add projects, with sub-categories and task lists, as well as packages, which are items that don’t necessarily fit into a project, but that you want to organize or prioritize. Helping you prioritize tasks is what LiquidPlanner really is all about. When you enter a task, you estimate how long it will take to complete, and you do so by entering a range. LiquidPlanner thinks of this as a best-case and worst-case scenario, and it calculates a range of dates for your project, based on how long you think it will take to complete. This allows you to plan your time and your deadlines accordingly, and it’s surprisingly helpful. Rather than simply setting a deadline and forcing your employees to meet it, LiquidPlanner creates a realistic goal. I like LiquidPlanner’s timeline view, which shows you how your schedule looks based on the estimates you set for your projects. I do wish the online version were a little less text-heavy, which would make it easier on the eyes. With that in mind, I had low expectations for the mobile apps (Android and iOS), but was pleasantly surprised to see their neat and clean designs. LiquidPlanner isn’t cheap: after a free 30-day trial, it costs $29 per user per month. That’s far more than some of its rivals. 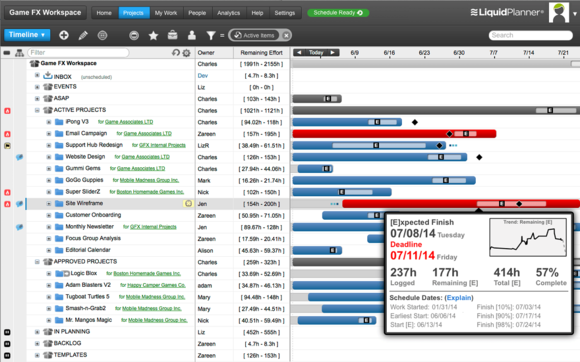 But if time management is just as important to you as project management, LiquidPlanner will be worth the price.